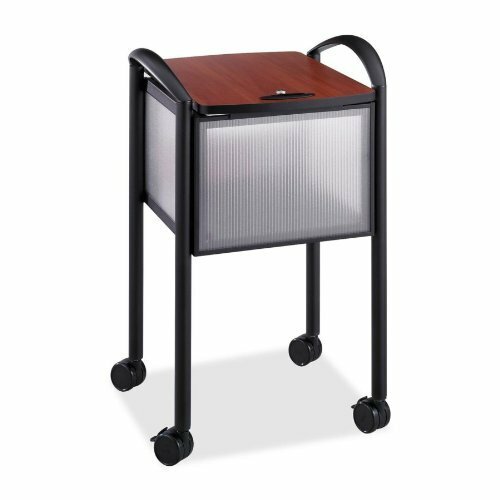 SAFCO Impromptu File Cart is the perfect complement to your office. Contemporary design features translucent polycarbonate side panels with distinctive steel frame. Holds either letter or legal hanging files (files not included). Rolls anywhere on four swivel casters (two locking). Contemporary design features translucent polycarbonate side panels with distinctive steel frame. Holds either letter or legal hanging files (files not included). Rolls anywhere on four swivel casters (two locking).. If you have any questions about this product by Impromptu, contact us by completing and submitting the form below. If you are looking for a specif part number, please include it with your message.